CloudFlare basically designed to CDN(content Delivery Network). CloudFlare protects and accelerates the website online. Once your website is linked with the CloudFlare, its web traffic is routed through CloudFlare’s network. CloudFlare will automatically optimize the delivery of your web pages so your visitors get the fastest page load and best performance. CloudFlare will also block threats and don’t allow the unwanted bots and crawlers. There are much more CDN as CloudFlare so we are providing you Best CloudFlare Alternative, you can look at the all available option. We are providing you the list of Best CloudFlare Alternative, go through the list and look which one suits you better for your site. CDN77.com is a secure, affordable and reliable Content Delivery Network provider. With more than 30 Points of Presence on 5 continents, CDN77 provides solutions for Website Acceleration, Software Distribution, Gaming, Video Delivery and Live Streaming. CDN77 has transparent pricing and pay-as-you-go plans with no commitments. There are no setup fees, no additional costs for features and no HTTP/HTTPS requests payments. Their in-house engineer support is available 24/7. CDN77 was one of the first to introduce latest technologies such as HTTP/2, free instant SSL or Brotli compression. All features come at no additional costs and are available via API for every client. CDN77.com also offers a free 14-day trial with all the features and no credit card required. You can create the trial account here. CDN77 also offers a cost-effective worldwide monthly plans with fixed price for all locations. The price starts at $19/TB and the plans are on the month-to-month basis – there’s no yearly commitment. Check all the details here. Bitninja is the best CloudFlare alternative. Most of the CDN use their own server for accelerating and protect your website but Bitninja is different from other because it is installed on your server and patch it on own server. Bitninja can be installed on Linux server and start working fast.It is providing 99% protection from attacks. In other CDN, traffic on your site redirect to your server but first, it is coming on the CDN you are working with. In case anything happens to company CDN then your site will be down and the server will be unavailable. Bitninja works on your server and protecting your site from its own server.In case anything happens to the server of Bitninja your site will be fine. Bitninja protects not only HTTP but also FTP, SSH, SMTP, IMAP, POP3 other protocols as well. 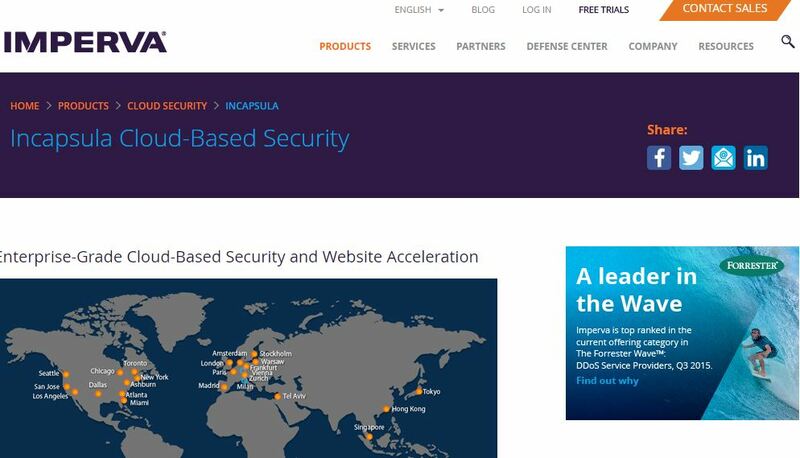 Incapsula also provides performance and security for your website. All you have to make some simple DNS changes and your website traffic routed through Incapsula server.Incapsula provides you high security, protection from threats. Incapusla also blocks real time spammer and also provides page optimization and accelerate so, your website load fast. KeyCDN is high performance and has some unique features which cannot provide by others.KeyCDN has some features like runtime protection, origin shield, custom SSL layer, secure login, and token etc. KeyCDN also provides you the graph representation of your traffic and the average time. CDNify is alternative to CloudFlare, provides you security and performance and some other features, But the best part is it is developed by the startup, developers so they can make changes for their best.CDNify also provides you custom SSL, in case you don’t have any security layer then you can use CDNify SSL. It can also compatible with Drupal, Joomla, and Magento. CDNlion is another best alternative to CloudFlare for the websites.It will increase the speed of your website so your page will load fast.Unlike other, this CDN network copies all the file from your server, files like scripts, images, videos and other files, to its own server. Now visitor tries to access these file from anywhere, CDNlion network makes sure that content will be provided by the nearest data center. The best feature is you can select the data center where you want to store your data as per your audience. They are also providing the demo of 14 days, so take a demo if you like then you may proceed. DNS Made Easy provides geographical load balancing services on a global DNS network with a 100% uptime guarantee.Now currently DNS made easy offers DNS services to approximately 500,000 domains on all over the Internet. 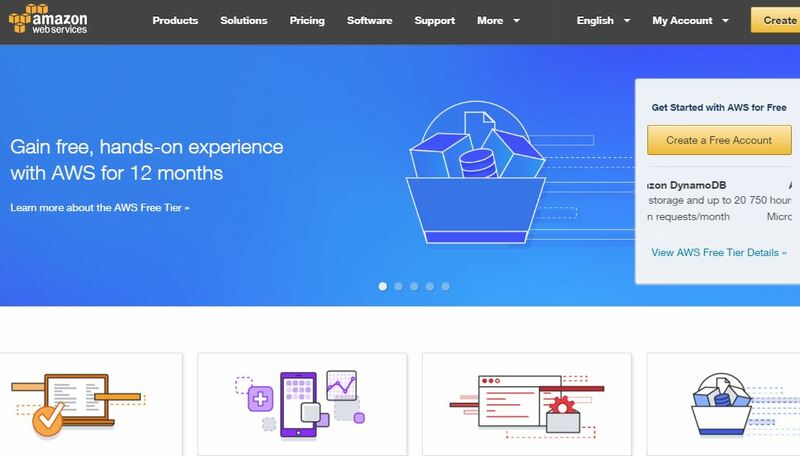 Amazon also started the web services in 2006 and still it is running it.Most of the client are very happy with the way it is managed by the company. Amazon is high customization with lot’s of thrid party software are available. Amazon is also less expensive than any other and also provides you more space than other. 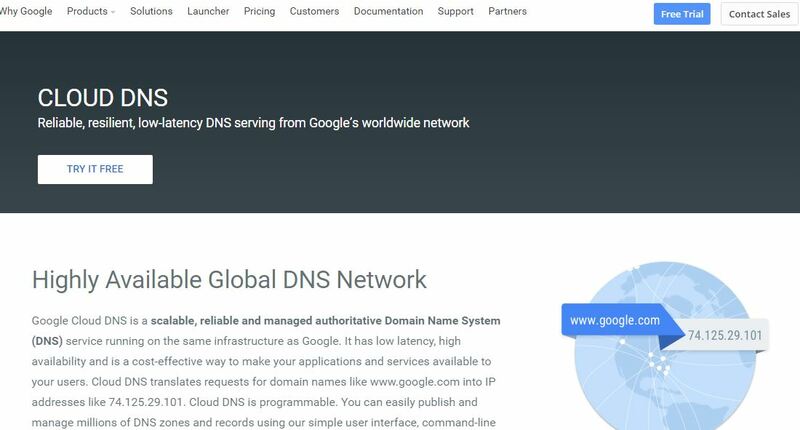 Cloud DNS is also one of the most rated companies. It provides 100% DNS uptime with DNS servers in many continentals. The best feature is they provide you 301 and 302 redirects and much more like a Simple web interface, Mail forwards, Native IPv6 Support, etc. So, readers, these are the best CloudFlare alternative some of them are free and others are offering you a trial version of the CDN. If you have any other option apart form the above given list then please let us know through comment. We will add them into this list.